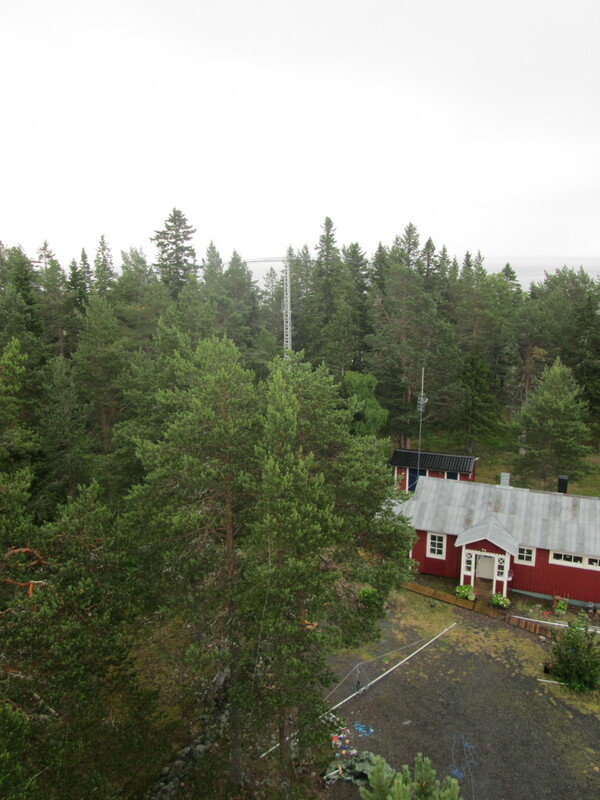 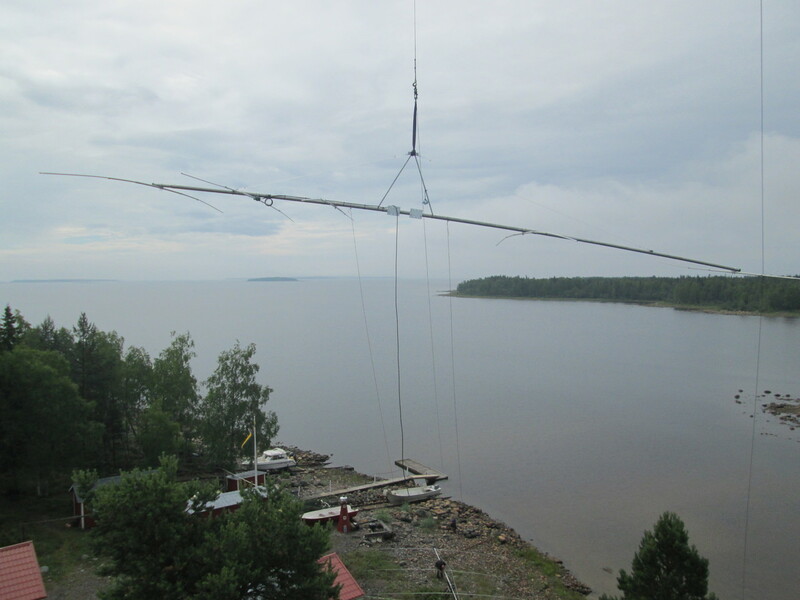 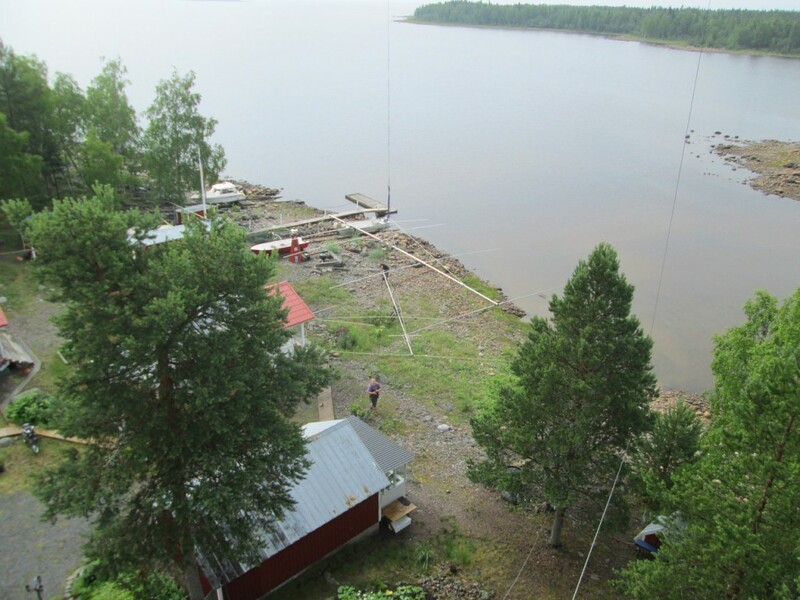 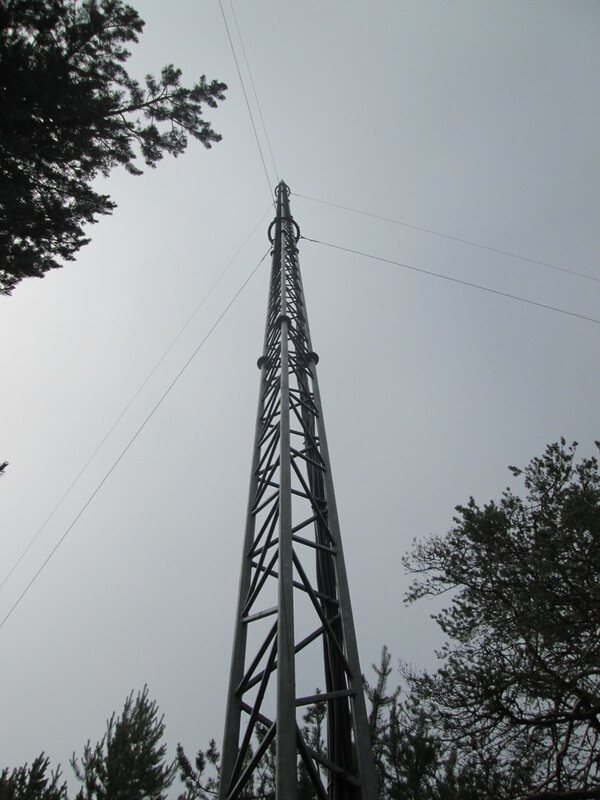 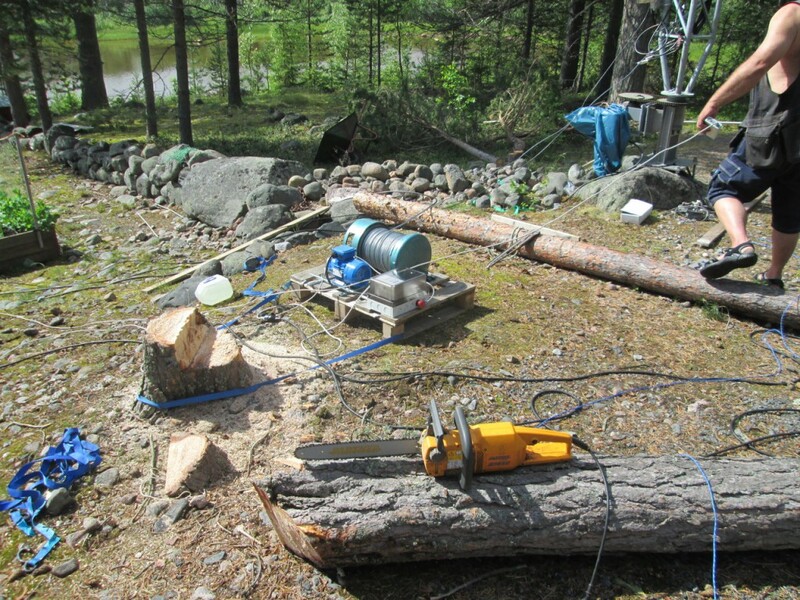 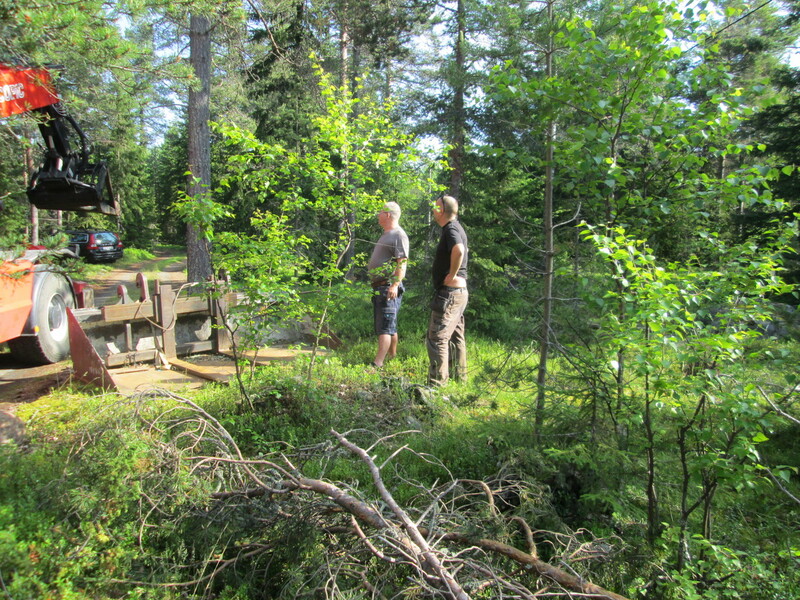 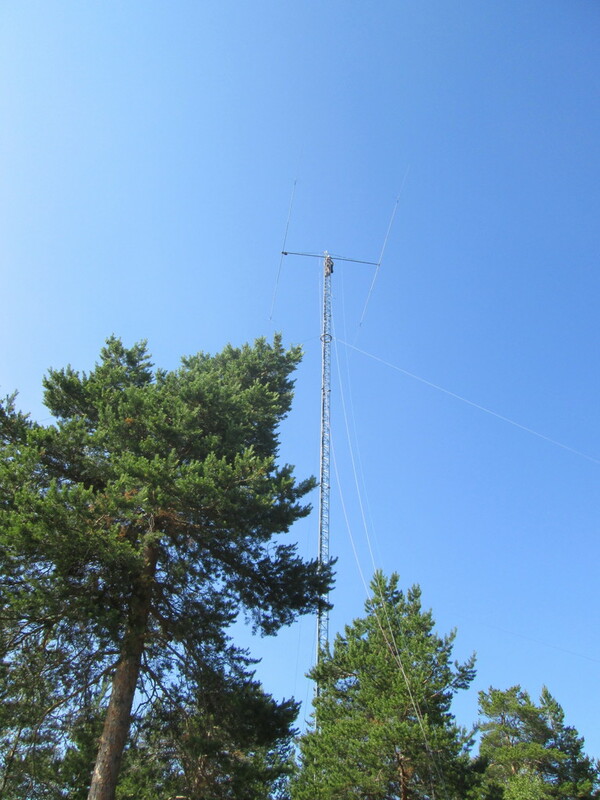 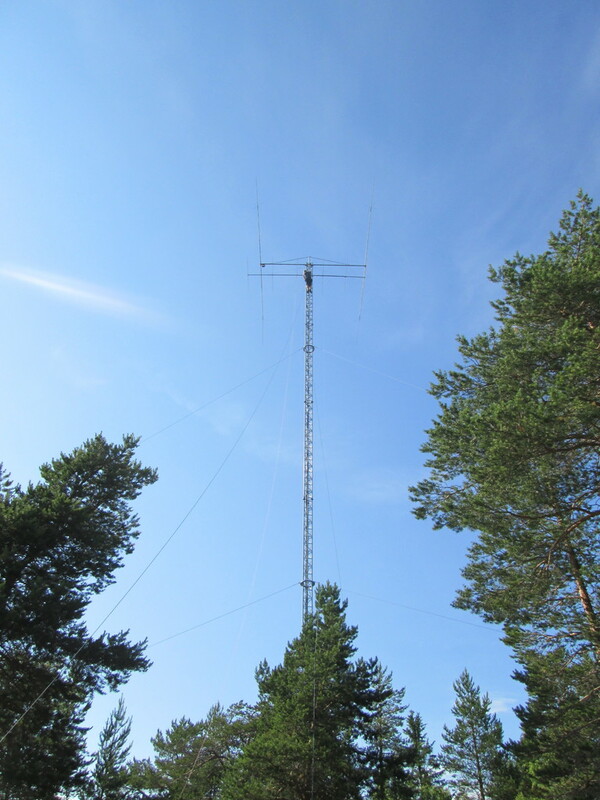 The 36m tower was raised again at my QTH in June 2013. 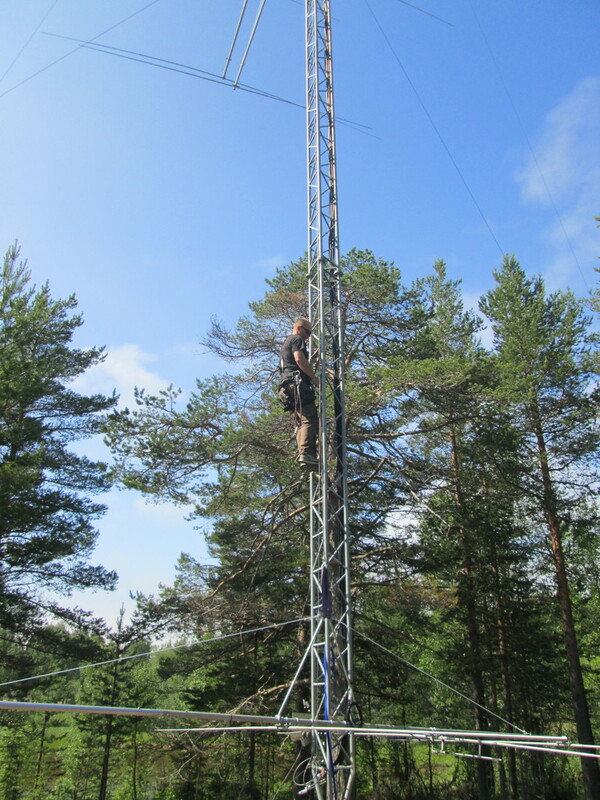 SM2NOG/H-G and SJ2W/Mike was doing the climbing. 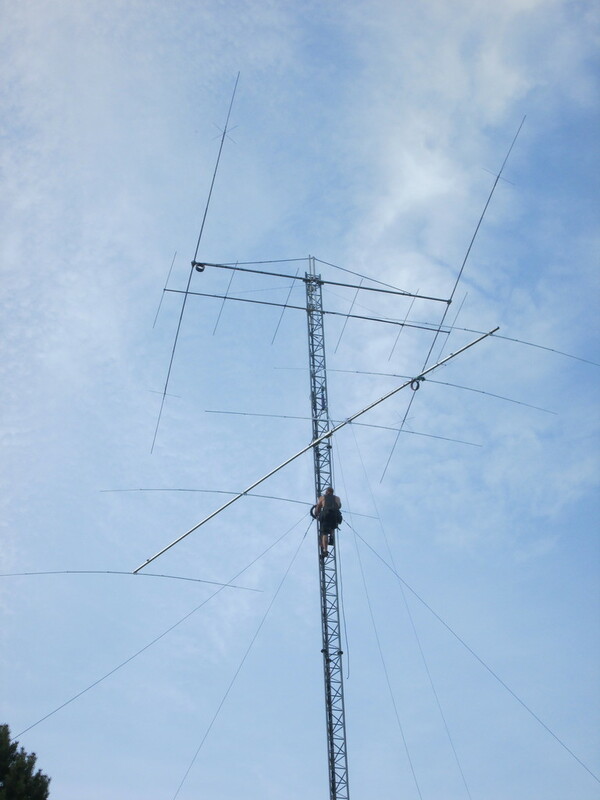 I was only putting up the lowest antenna for the photo session. 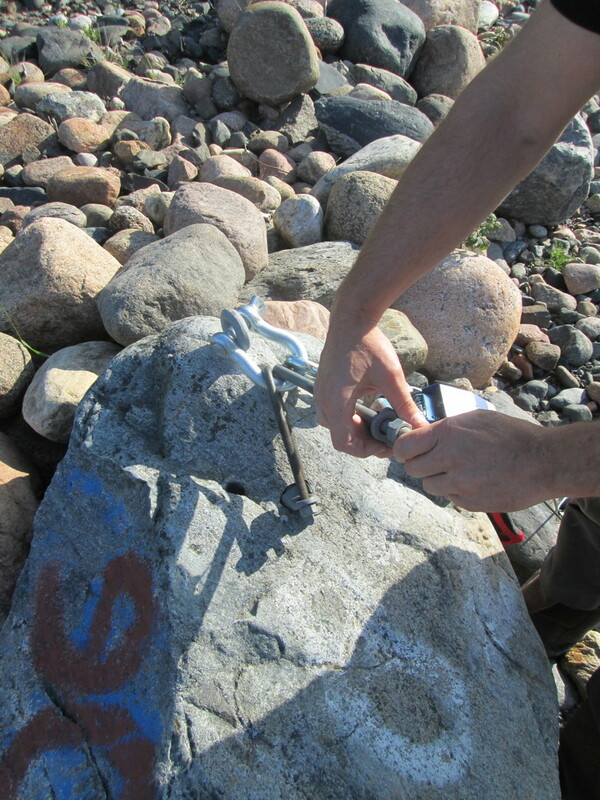 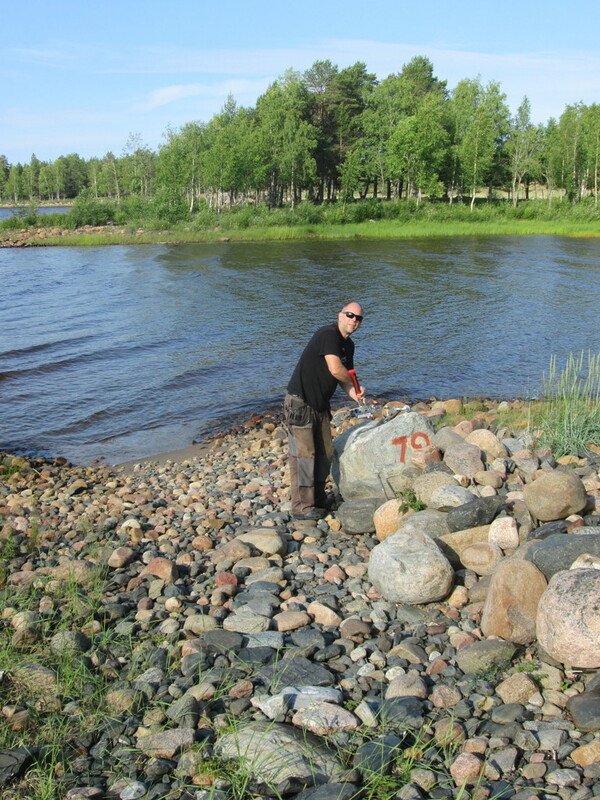 A rock will be used for one of the guy wires. 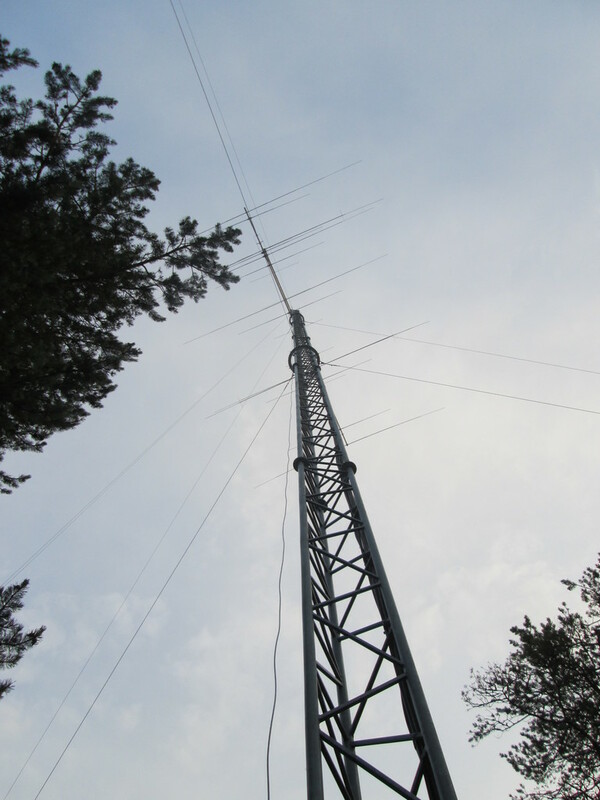 A forrest full of antennas. 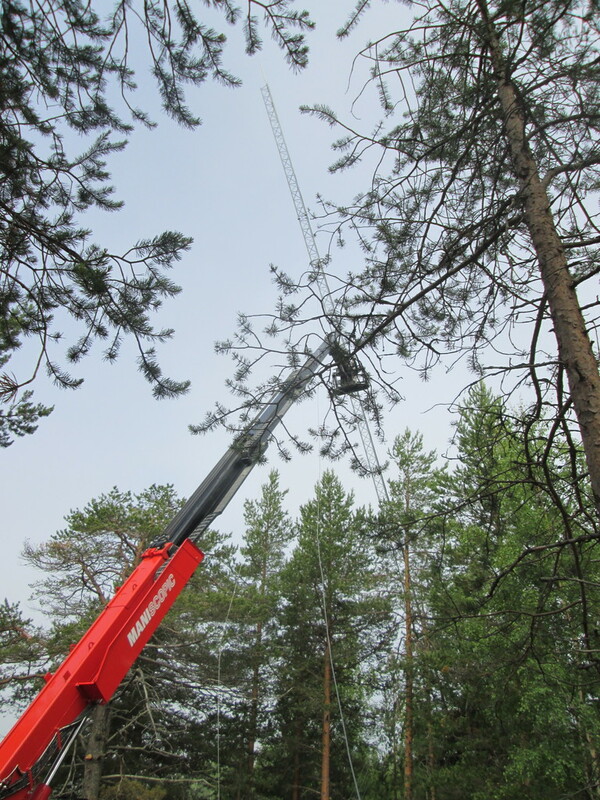 The crane is hooked to the tower,it will be raised in one piece. 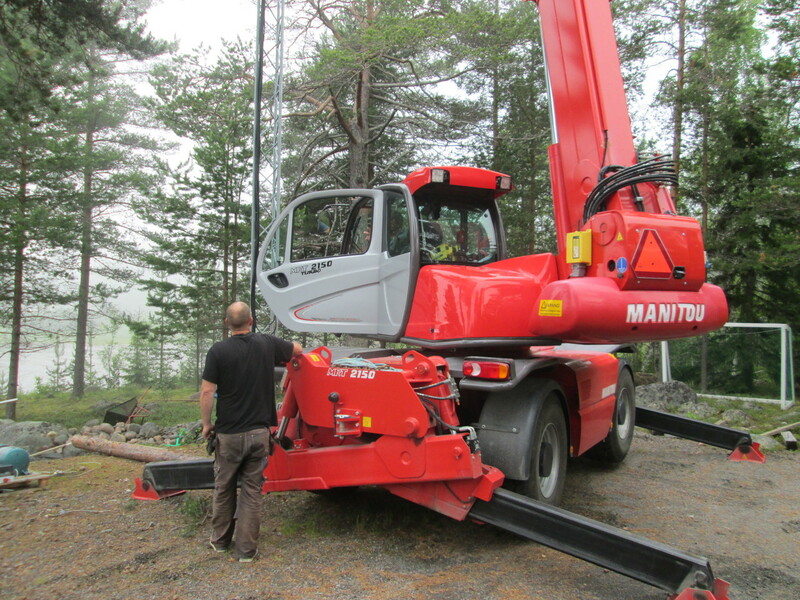 H-G is on his way up to hook off the crane. 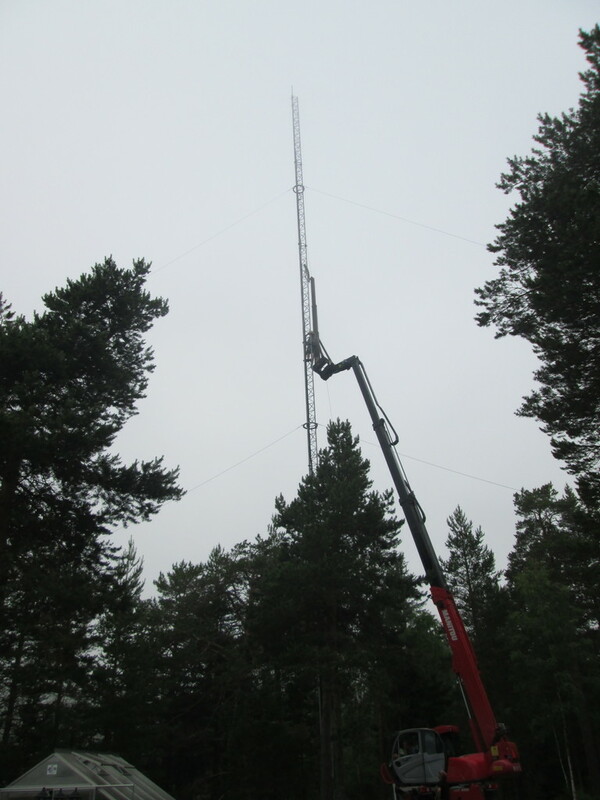 Now it’s standing by it self without support from the crane. 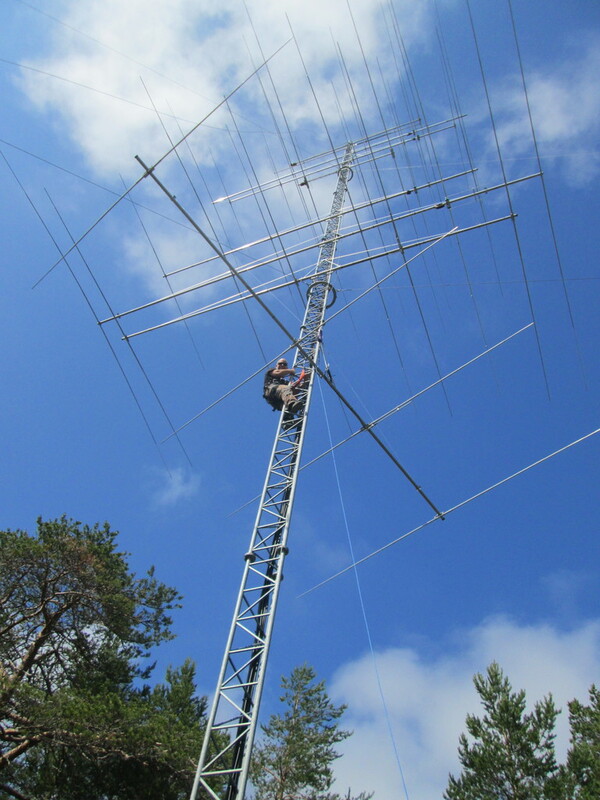 H-G is checking that it’s not tilted. 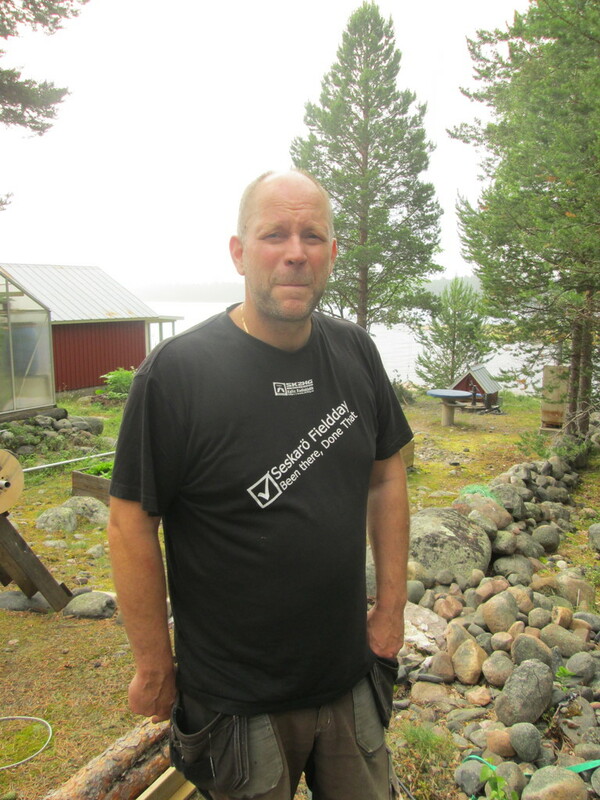 Ny self, a bit confused ? 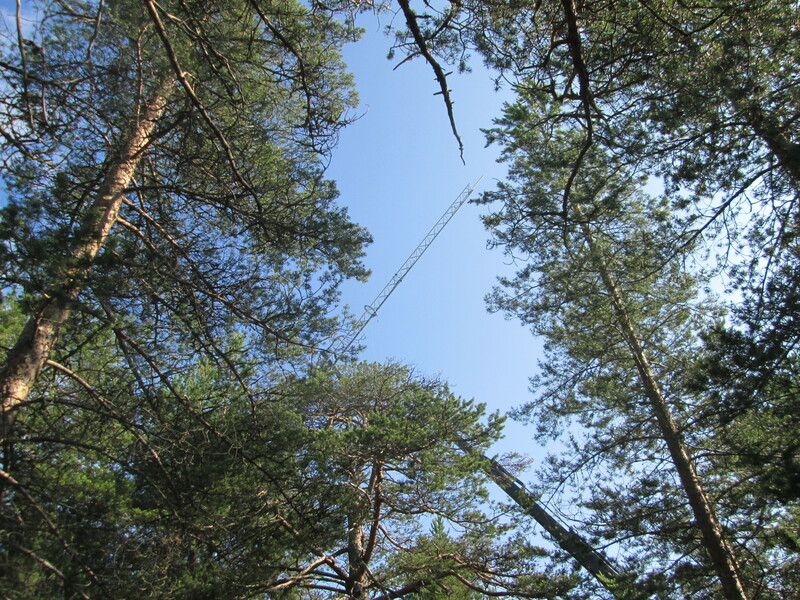 The chain for the rotator in place. 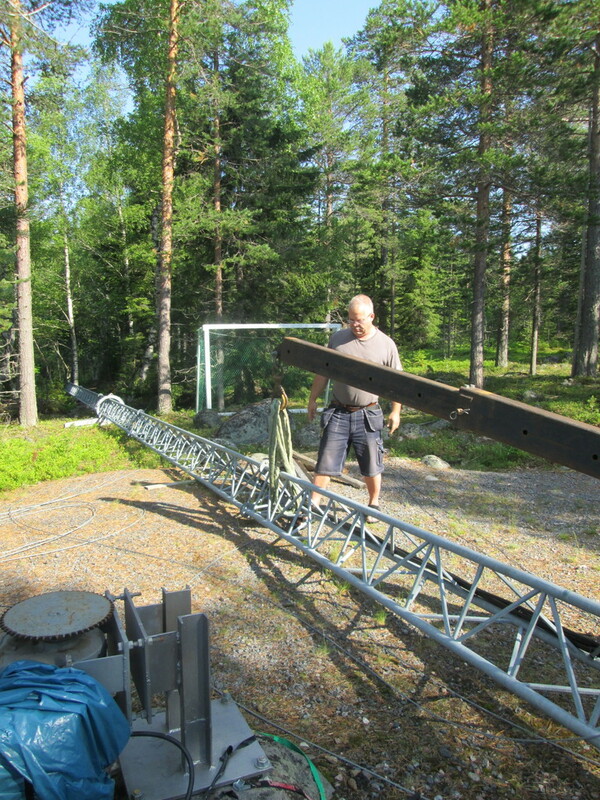 Time to put up the antennas. 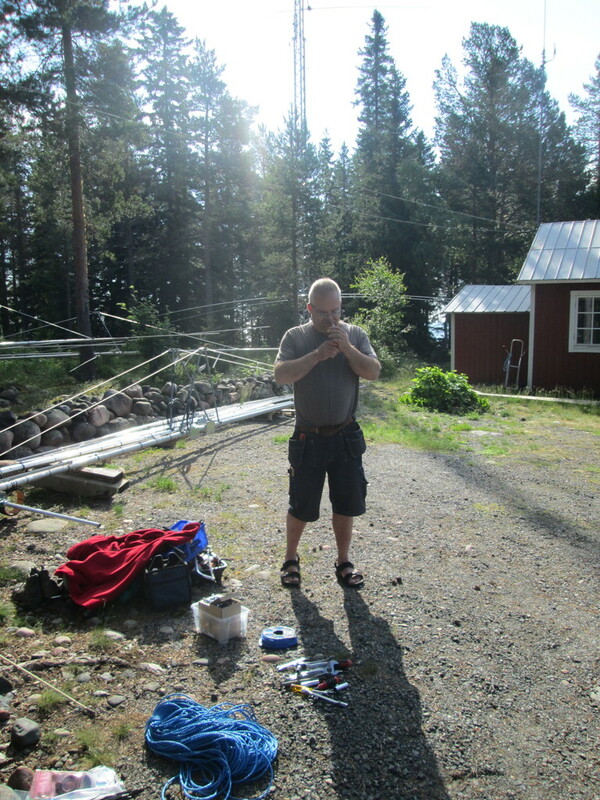 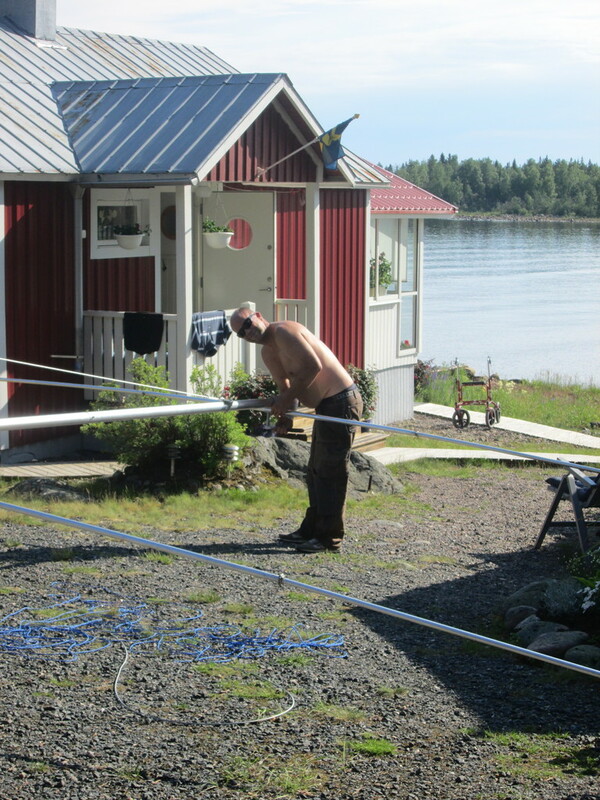 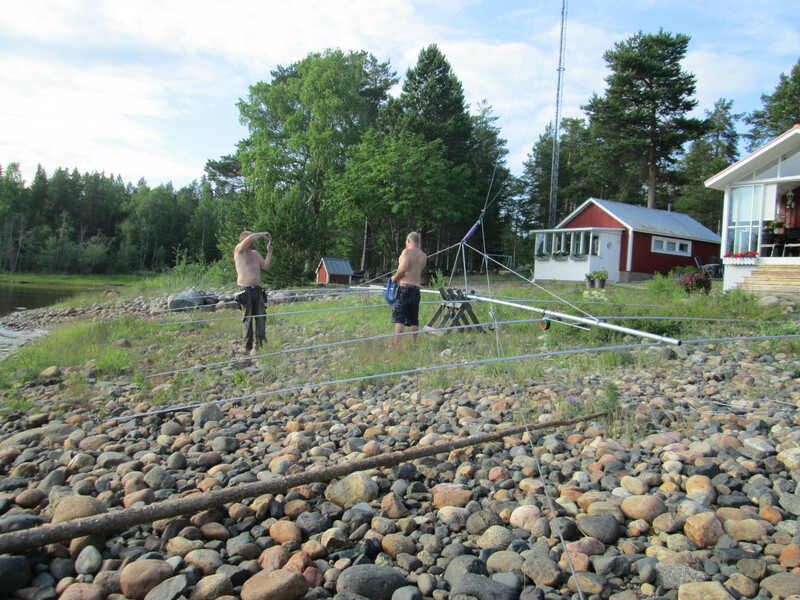 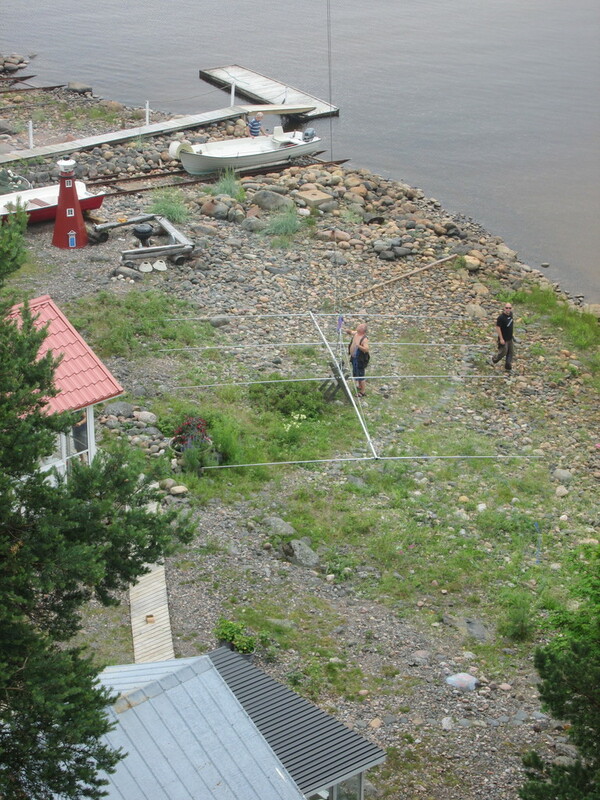 The 40m antenna winched up, H-G is on his way up to fasten it to the tower. 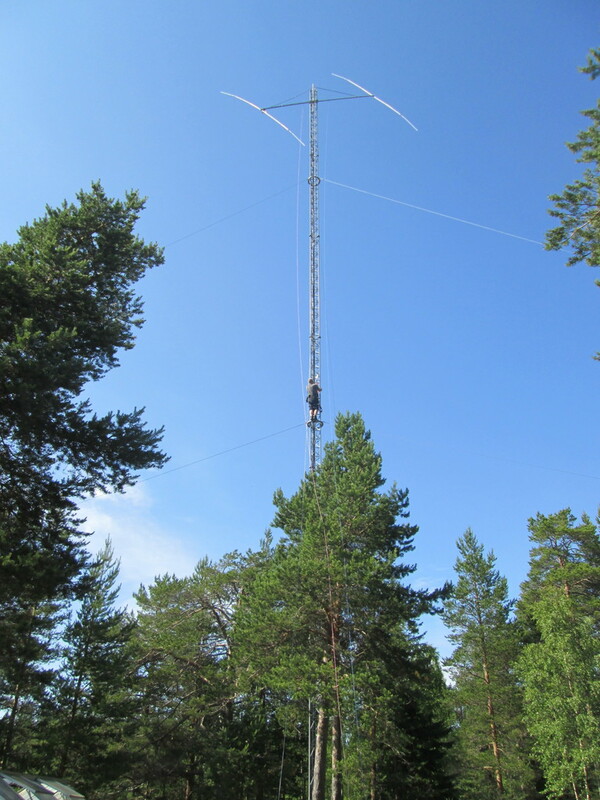 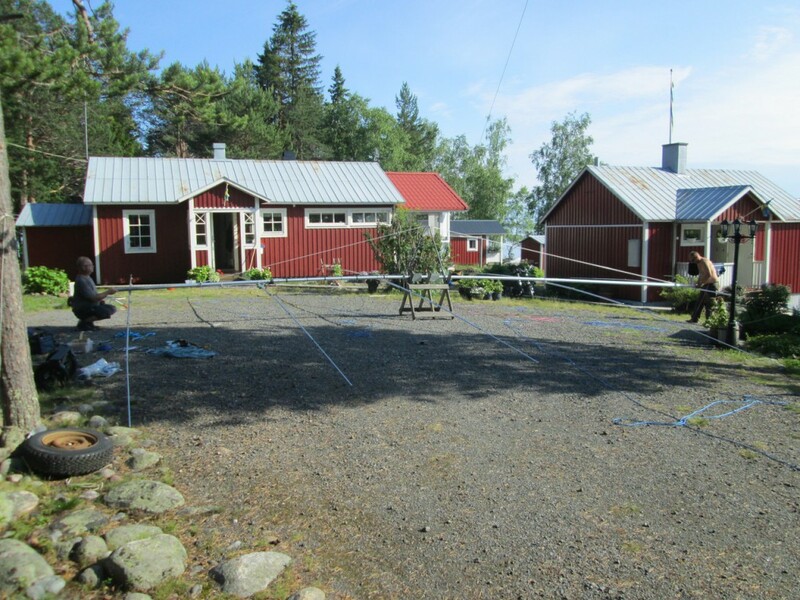 6m antenna is temporary fastened under the 40m to avoid obstruction to the next antenna on the way up. 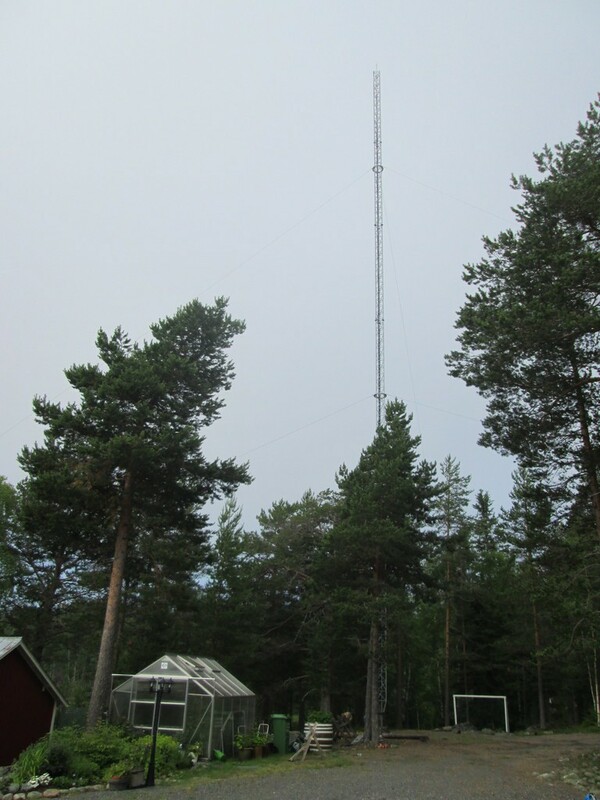 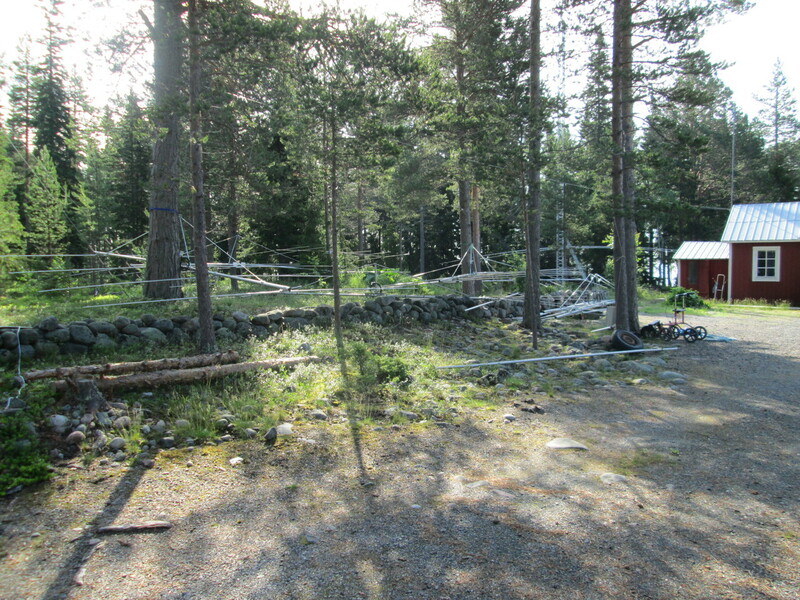 The 30m antenna has been stored in the other tower over the winter. 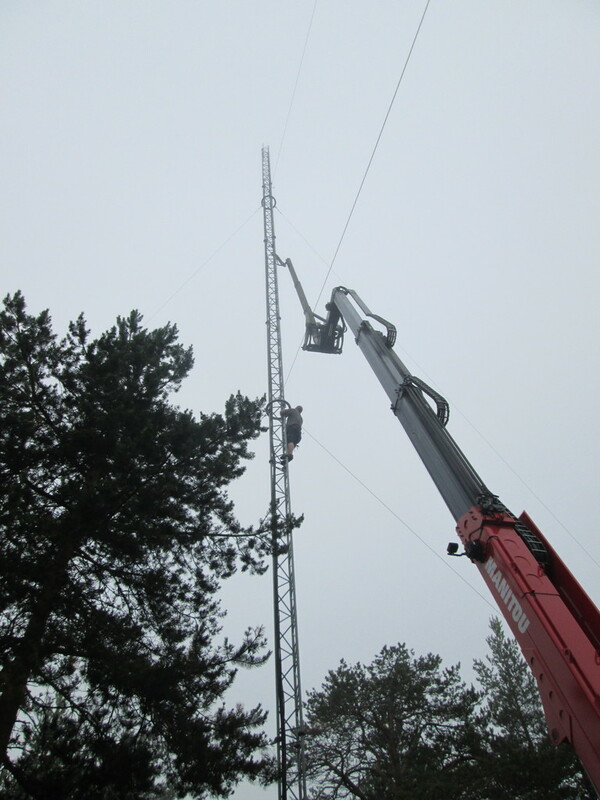 The 15m antenna on the way up while we started to assemble the second 20m antenna. 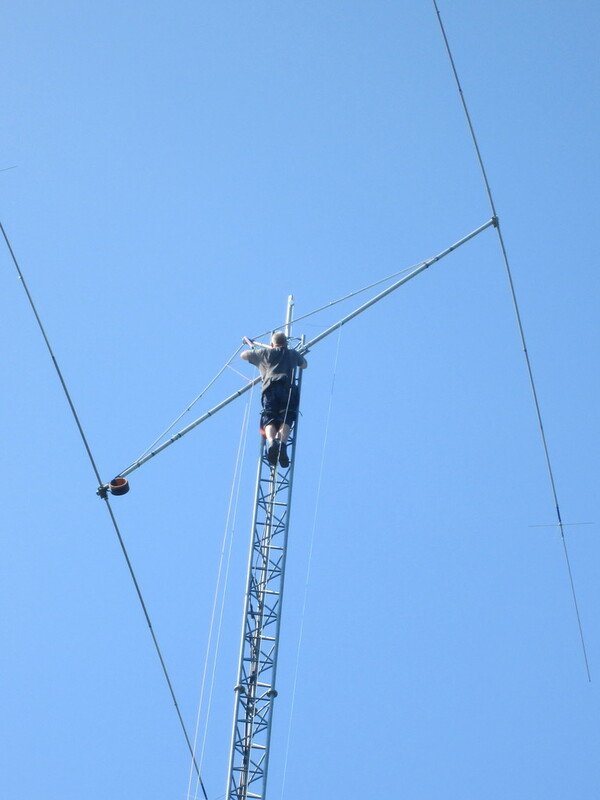 The 15m antenna almost up. 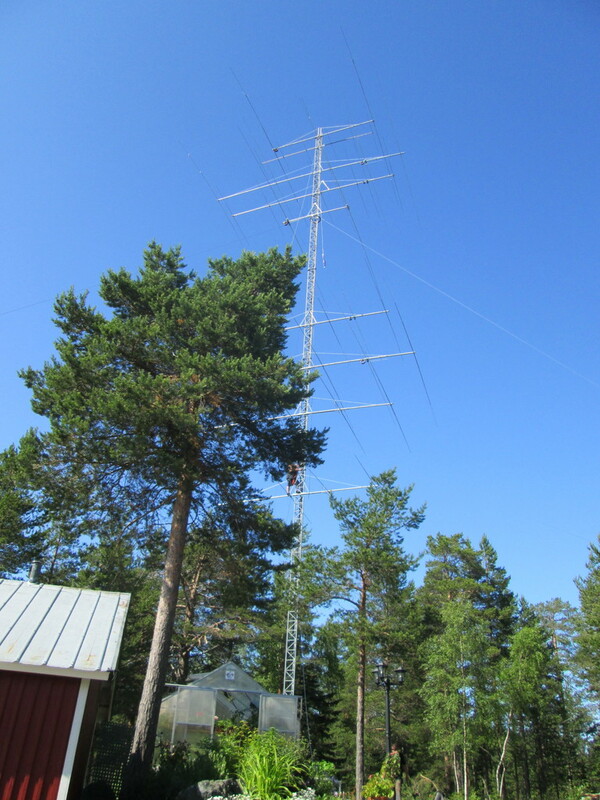 The other 16m tower looks small. 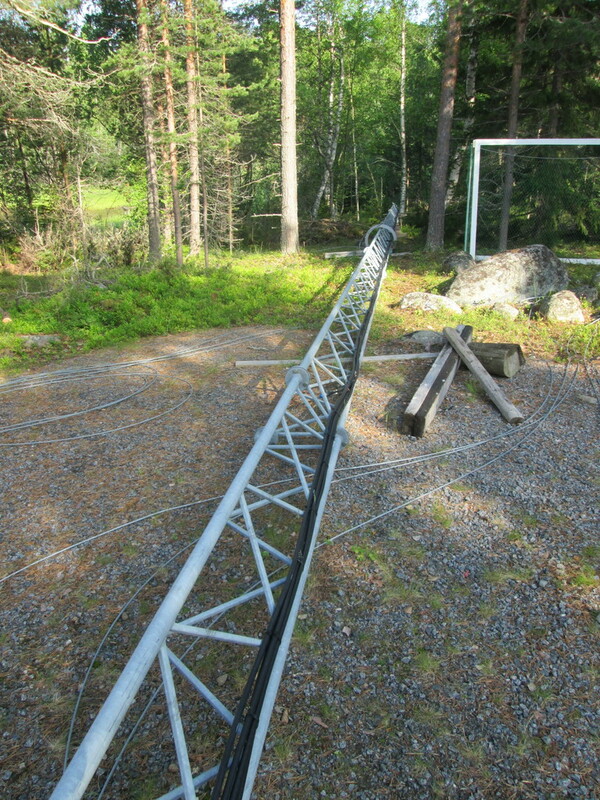 The 17m antenna ready to go up. 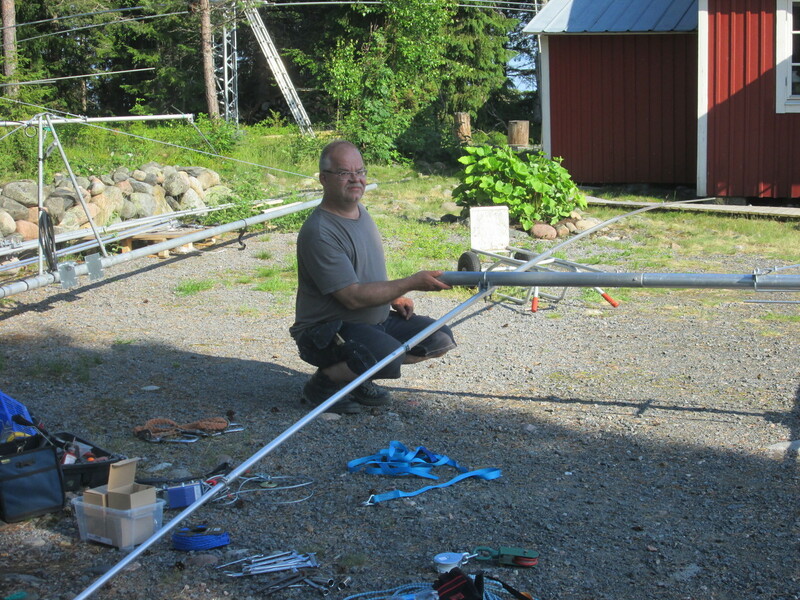 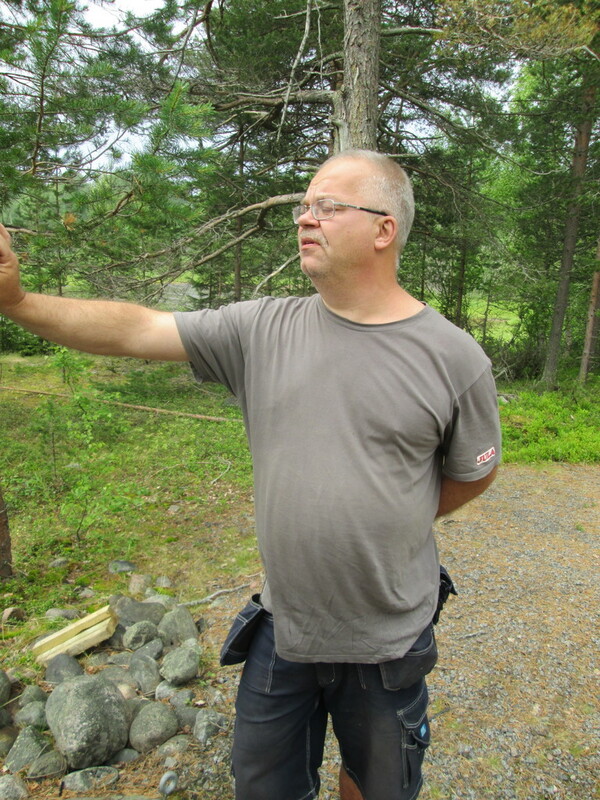 Im on the way up to fasten the 12m yagi, the last antenna. 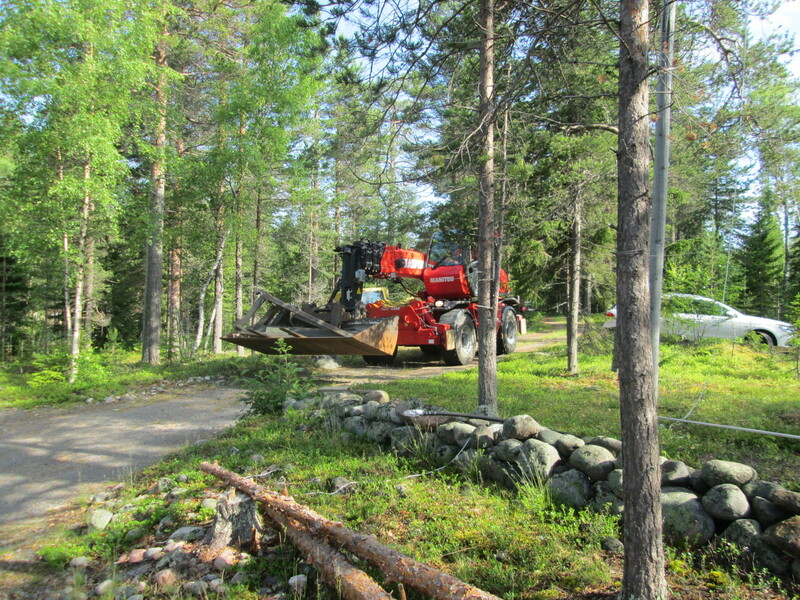 We took down some tree also. 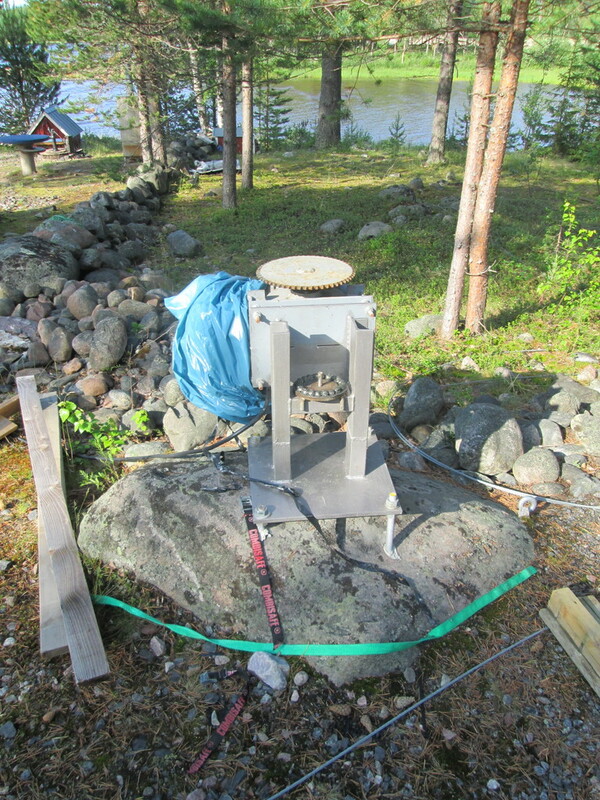 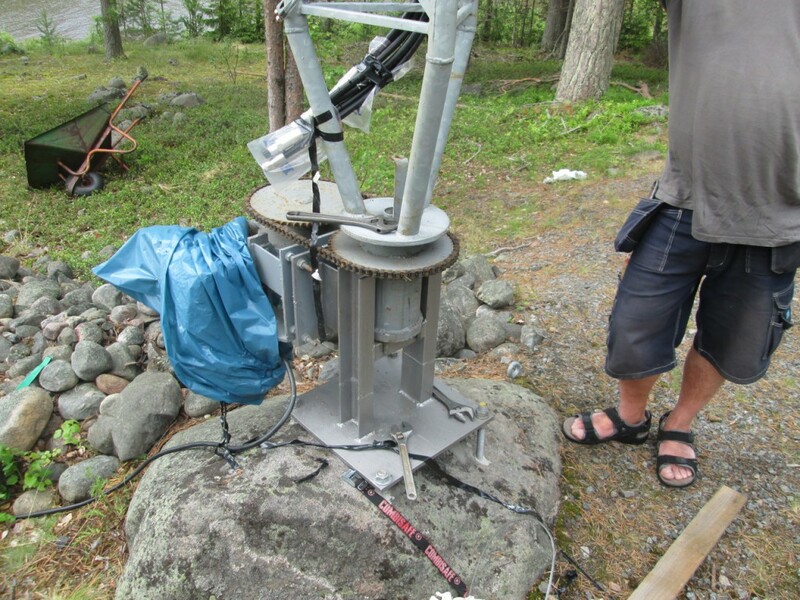 The wire winch is remote controlled over RF so the climber can control it by him self if he want. 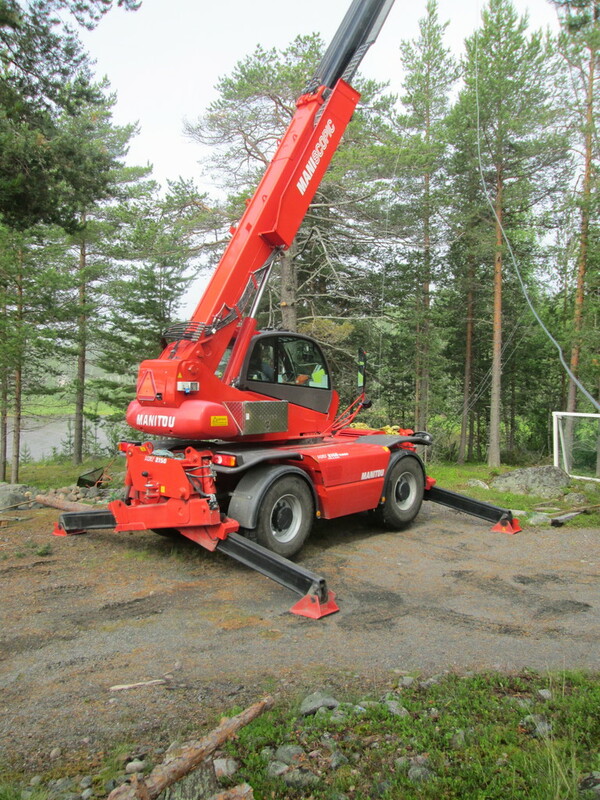 it’s also electronically controlled so it’s starts very slow so you can adjust millimeters by millimeters. 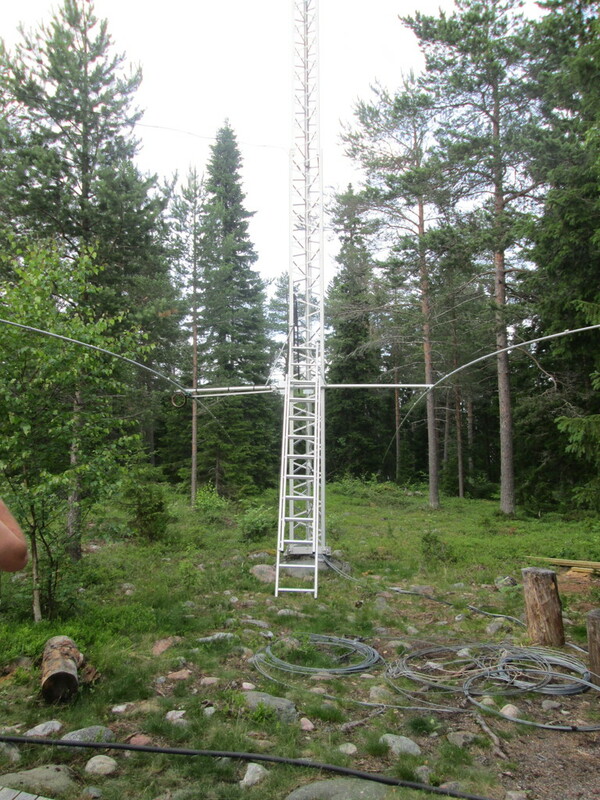 All antennas in place now it’s time for H-G to connect the antennas to the 1/2″ feeders. 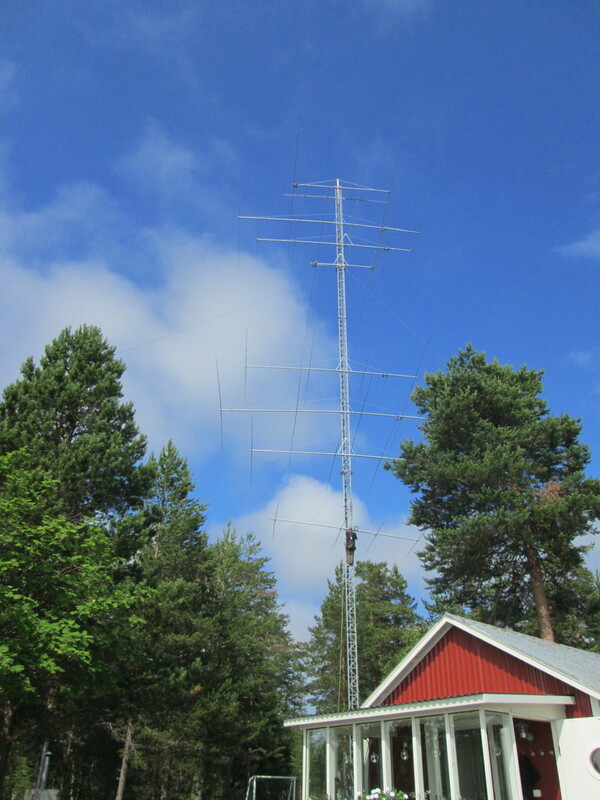 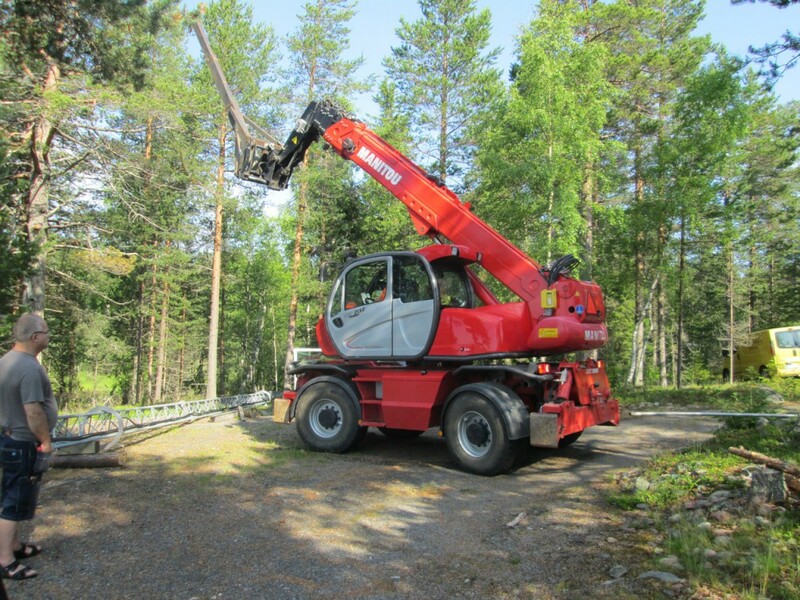 The 6m antenna has to be moved down also.